the lake down and the fish are getting active. The best of Lake Toho will be here soon, with the cool weather spawing seasons is coming. We expect the fishing to get better and better as fall nights and cooler tempertures are coming. I took out Robert Neefe and his wife. We caught a bunch of fish this morning. 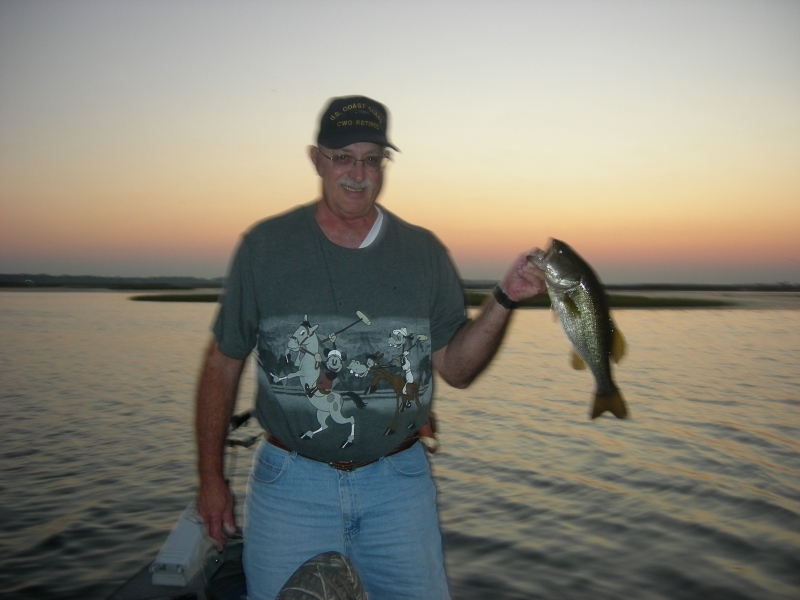 Robert caught the biggest bass in his life and he came to right place Lake Toho is place to catch a Lunker. It weighed 9Lb 2 oz. He’s been fishing for many years and never caught a fish this big. It came as a surprise that we caught such a Trophy, but I’m sure Robert did not mind Ha, ha! He was thrilled and mentioned that such a large bass he has only seen in Bass Pro shops aquariums. Robert I’ve enjoyed fishing with you today and I’ll see you next time.